The Plecto App is Now Available in the Intercom App Store! We are now available on the Intercom App Store. 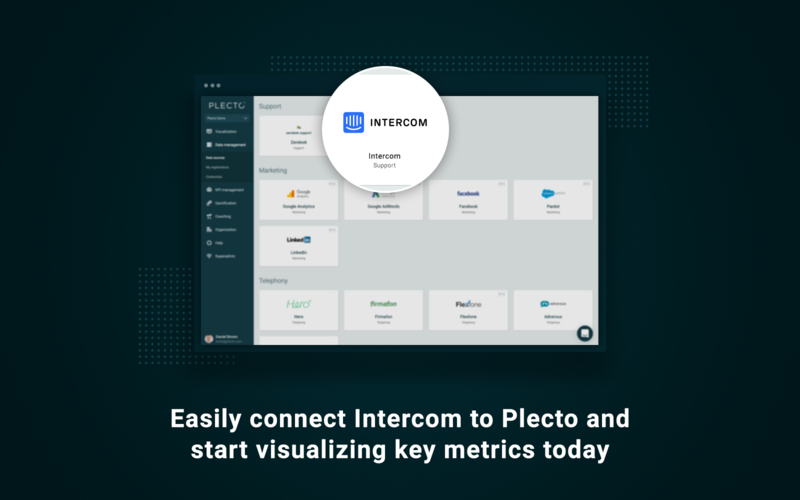 🤩 You can now go into the Intercom marketplace and search for Plecto or find us listed under the Analytics or Conversation Management categories. Otherwise, here is a link to our app listing. You can now display Intercom dashboards to visualize the metrics you find most important - all sourced from your Intercom account. 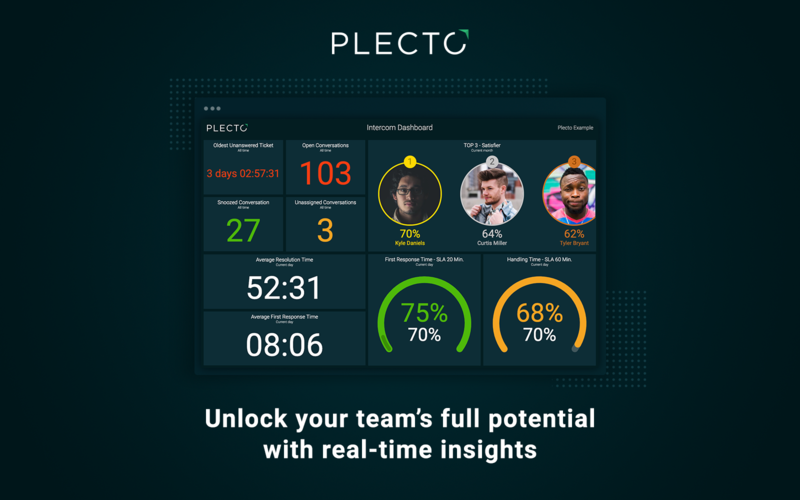 Plecto is a dashboard software that does more than visualizing your performance. With unique gamification features, we provide you with the right tools to engage your employees. After connecting your Intercom account via the Plecto admin, you can start building dashboards to display around the office. Energize your team with time-limited contests. Recognize successes with automated "win" notifications, milestone achievements and leaderboards. And, display your dashboards on the large TV screens in your office to motivate competitive salespeople and boost their performance. We help you stay aware of your customer's concerns live as it happens. 👀 Being able to see how many customers are waiting from a dashboard all around the office will help other team members to know they should look to help out the customer success team if needed. Understanding how your agents are doing based on customer satisfaction will help to get an overall picture of your top performers. 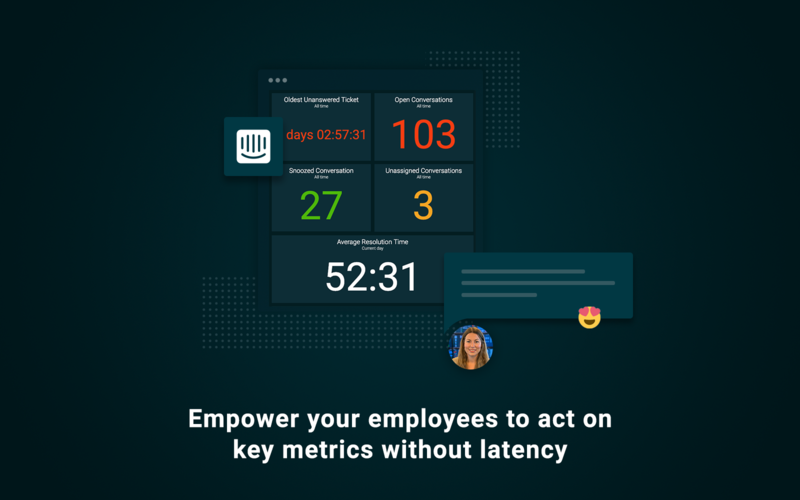 Empower your team to act on key metrics without any latency, everything happens in real-time. Then with notifications, you can recognize and celebrate the efforts that lead to happy customers. Why should companies use dashboards? Employee engagement is a big topic of conversation all around the world in companies from small businesses to large enterprises. Companies are looking for methods that will enable their employees to get the most out of their performance. This is extremely relevant in companies with large sales and customer support teams. We like to focus on having dashboards that can be made by anyone. And good looking ones too. We want you to be focused on your customers and responding to your Intercom inquiries. Therefore, we made it easy to add new widgets and import your Intercom data right away. We suggest using conditional colors to add a few visual clues and add some headshots of your team members to really bring in the human element of the dashboards. Sign up to Plecto to build your easy to make dashboards!